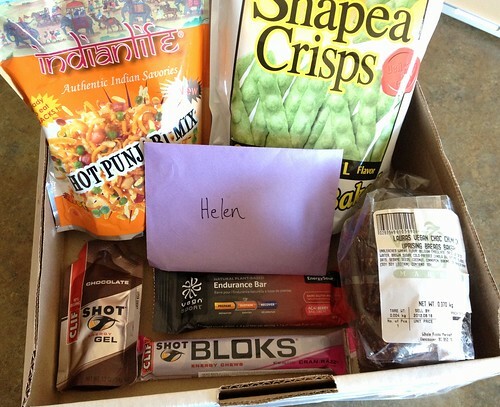 Once again this month I took part in the Foodie PenPals exchange. Still love this idea, after giving it a break last month I was eager to join in again! Charlotte was sending me my package of goodies which turned up mid-month (it's been tough holding off on the reveal till now!) It was a fabulous bundle of stuff - all of which has disappeared over the last two weeks - not a crumb remains! I think she may have got the hint I liked chocolate and running! Clif Shot Gel (chocolate of course!) - actually one of my favs already. Clif Gels are the gel of choice for the Chicago marathon so I've already been running with them in training. Vega 'Endurance' bar - loving the Vega products. Not a huge fan of the taste of some of their powdered drinks but I'm using them anyway as I beleive it's making a difference in performance and energy levels. But their bars are a whole other thing - love the taste! Hadn't used an endurance one before now, but I do like their recovery protein bar. Chocolate chunk cookies - One of Charlotte's favourites and I can see why. I love this sort of snack - reasonably healthy but full of 'good stuff', oh, and chocolate! Hot Punajbi Snack mix - Once I wrangled them away from my husband they were great! And Charlotte didn't even know how much I love Indian food! Snapea Crisps - these were such an awesome alternative to potato chips - and just as tasty. I was skeptical since I'm not a fan of kale chips which seem to be all the rage right now. But these were truly delicious! 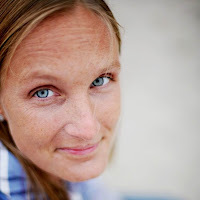 At the beginning of each month, bloggers and blog readers receive their penpal pairing. Packages are to be filled with foodie related items with a spending limit of $15. The box must also include something written. As a penpal you are responsible for contacting your penpal regarding any dietary issues/concerns. (i.e. vegan, gluten-free, peanut free). 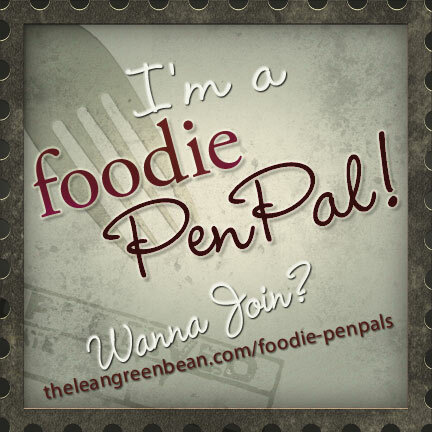 Foodie Penpals is open to US, Canadian, and UK residents. US residents are paired with US residents. Canadian residents are paired with Canadians. And UK residents are paired with UK residents. That way there’s no delay dealing with customs and everybody (hopefully) gets their package on time. Want to join? 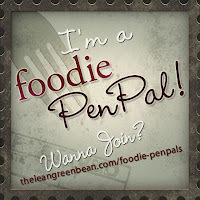 Head on over to Lindsay’s blog and you’ll find more details and a sign up form for the Foodie Penpals program.